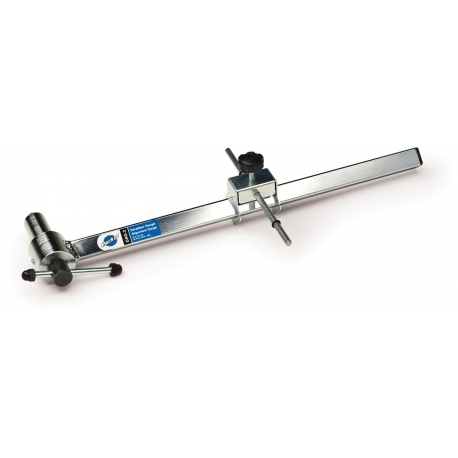 This tool is extremely steady in operation and is simple to use. The tool threads directly into the derailleur hanger. The gauge bar holds a gauge which marks the distance to the wheel. The gauge then is rotated with the wheel to the 3, 6, 9, and 12 o'clock positions, noting any differences in measurements. The alignment of the derailleur hanger is accomplished by applying pressure to the tool's arm. The results can be checked instantly. The DAG-2 is made of heavy gauge steel and is chrome plated for long life.